"I love my shoes! My experience was great! It took about a week for my shoes to come and they were exactly as I ordered !" 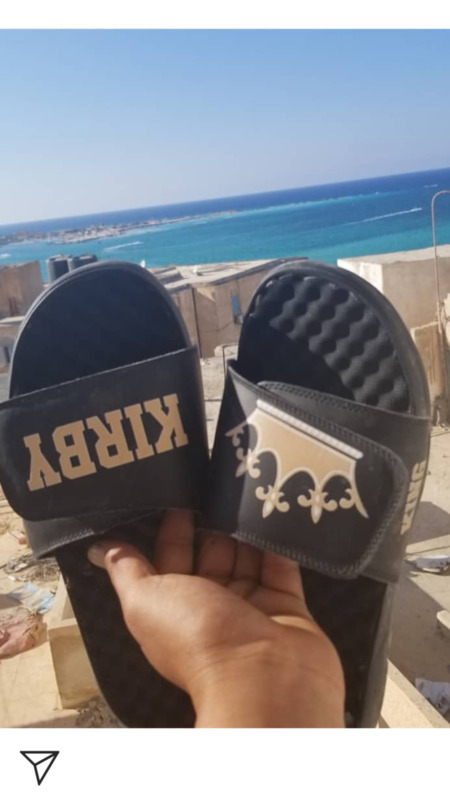 "I was very happy with the quality of the slides, making them custom is the best part wearing them people are forever asking OMG where can I get myself I pair so I have receded plenty ! Thanks for making a fantastic idea"
"Quick, easy and exactly what I was hoping from my custom order. " "First pair of iSlides are nice. I love them, they didnt take long to the point i was inpatient. Everything was the way i expected"
"I like the service and it was not long for me to get the slides "
"Customer service is great. They worked with me and were extremely helpful. The product is unique,well made and extremely comfortable. You don’t see service like this anymore. I highly recommend ISlide. " 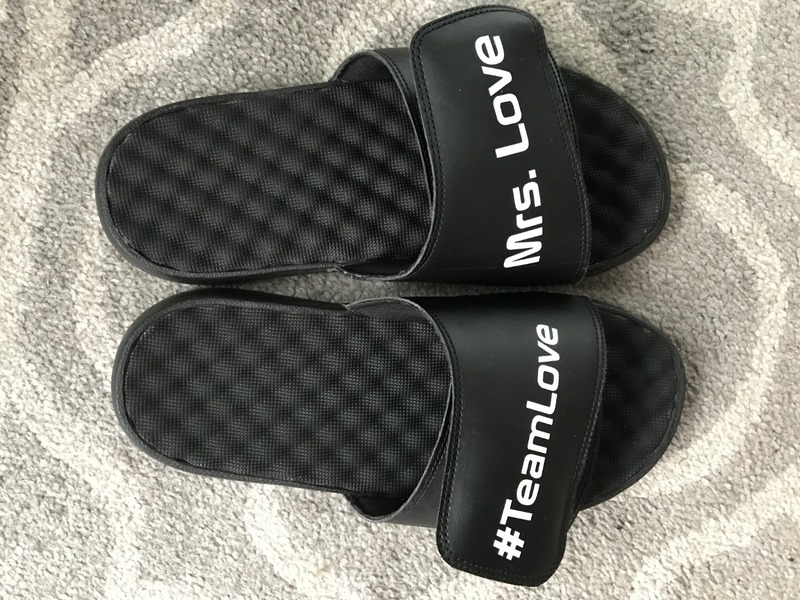 "I ordered two pairs of slides, they looked exactly like they did on the computer when I received them. My daughter and her friend were thrilled when I surprised them! Make sure to note the size, I almost ordered them wrong. They are in men’s sizes." "I ordered these for a friend’s birthday because I love the ones I have. I needed to make a change in the customization after I ordered. They were able to fix it without a problem. Then the slides were delivered before expected!! Love these and this company. " 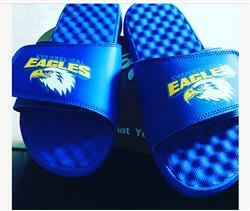 "Shipping and customization was quick and easy!" My slides are so comfortable! I love ‘em! I’m going to order some more. "Customer service is awesome! Didn’t take long to ship either. It’s worth it :)"
"Very easy and my daughters teammates love them"
"The customer service was great, answered my question within a timely manner. " "The site is easy to use, and the slides are great!" "They are big and comfy, and a lot better than. Nike slides. Definitely my favorite slides atm"
"Wish there were more design choices and better sizing descriptions"
"The whole process along with the quality is A+!" "Customization was exactly what I ordered. " "A special pair of ISlide’s this time. 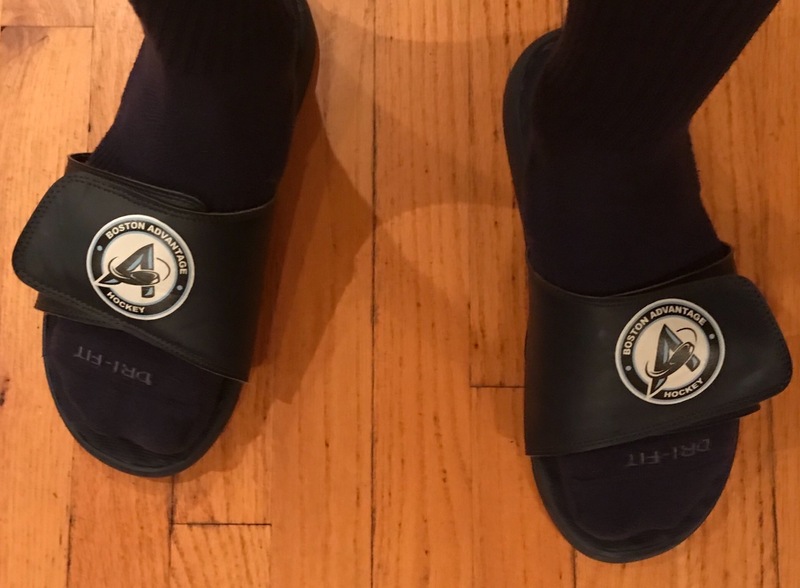 Both brothers made a top elite lacrosse national team- so no other way to celebrate than with another pair of the best slides out there ! " "The online customization process was really easy and the product was delivered exactly how I ordered the. It was a birthday gift for my sister and she absolutely loved it. I'm ordering another pair ASAP!!!" Awesome. Beat way to represent my team! "Great product and impeccable customer service. " "Very happy with my purchase. Ended up changing my design after the order was placed, customer service was very helpful throughout the process. Product was just as I had intended it, delivered in the amount of time they had outlined on the website. Very comfy shoe. " "The service was really good and didnt take that long to come"
"Great. Fast shipping, good quality, exactly what i wanted!" "Love the finished product. I did have to send them back for a quick fix but it was worth it and super easy. " "Perfect experience it was easy to order the customer service was amazing even validating and verifying what I wanted on my order great experience would do again! " "I'm very happy with how everything came out. This is my second order"
"Great product l, timely delivery would definitely recommend."